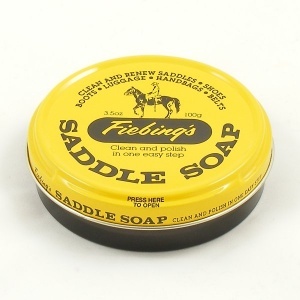 This little tin contains a rich, top quality saddle soap which can be used to soften and condition horse tack and dog leads, luggage, belts and much more. 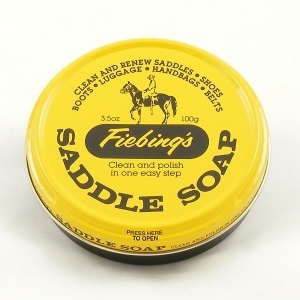 It cleans and polishes in one easy step, and the sturdy tin keeps it moist and fresh when not in use. 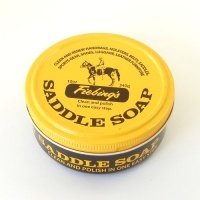 Please note that the soap is yellow, so it's not suitable for very pale coloured leathers. * When using a leather treatment for the first time, please test on an inconspicuous area first to check that you are happy with the results. Conditioning treatments will often darken leather slightly, adding a rich tone and glossy finish.